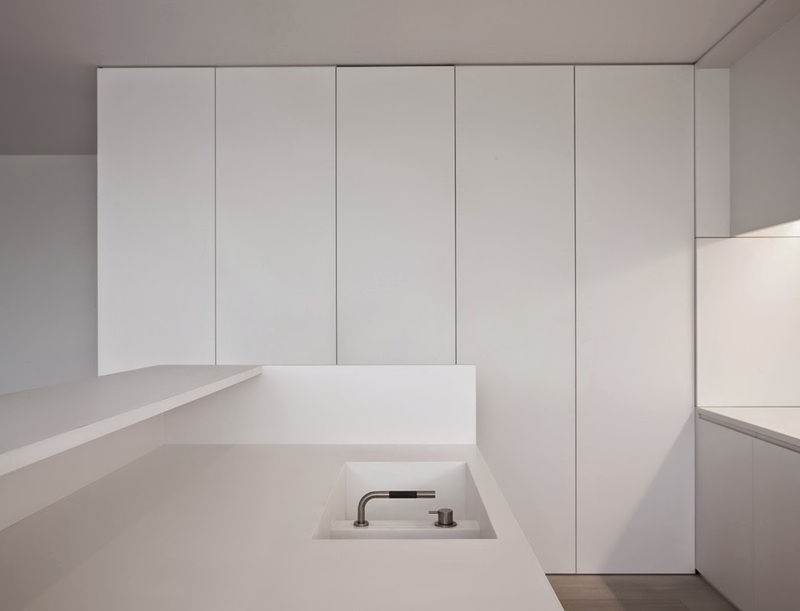 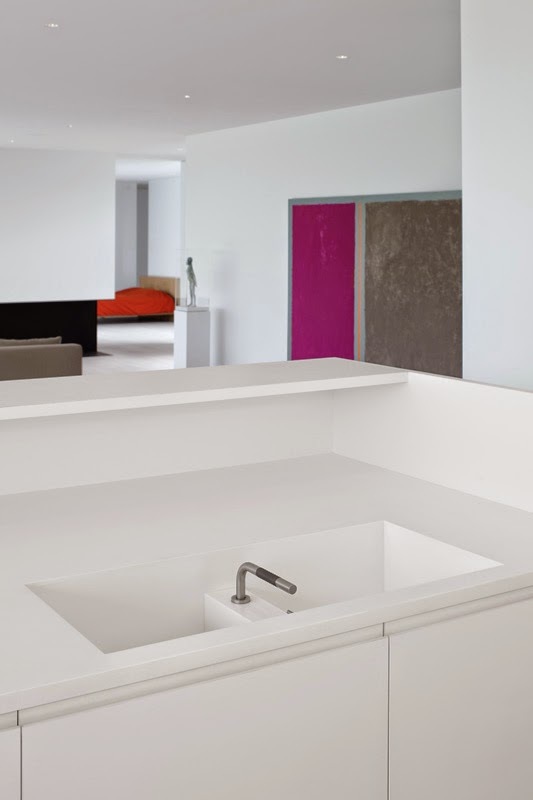 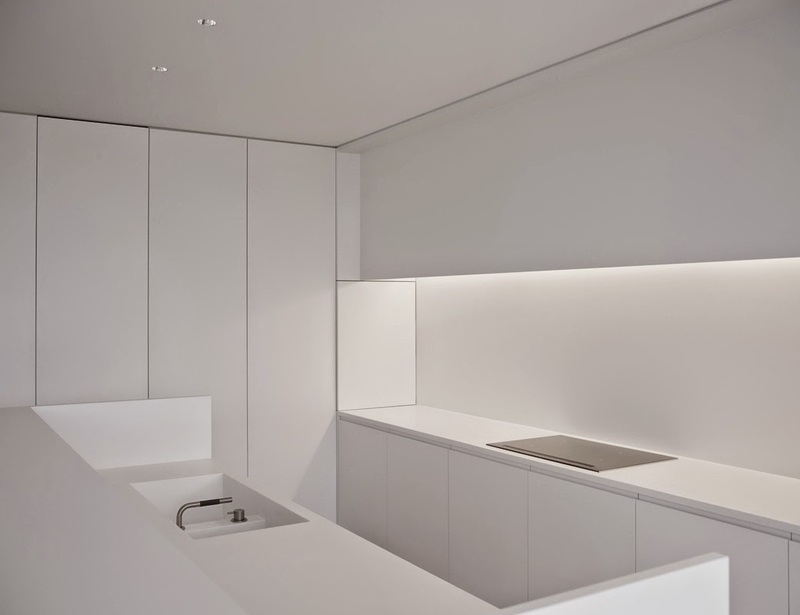 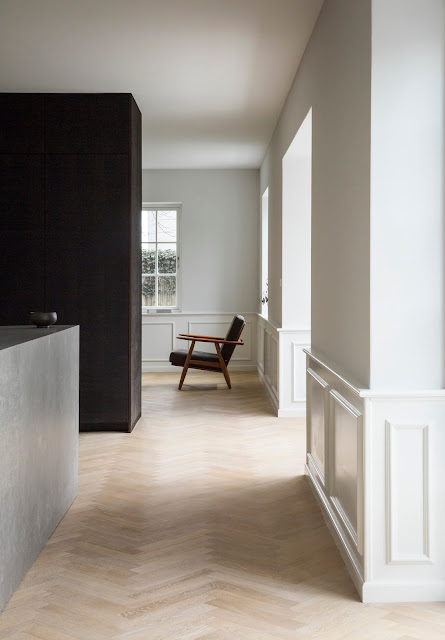 Belgian interior and furniture designers Minus designed the interior spaces of this house in Deinze, Belgium, based on their timeless, minimalist approach. 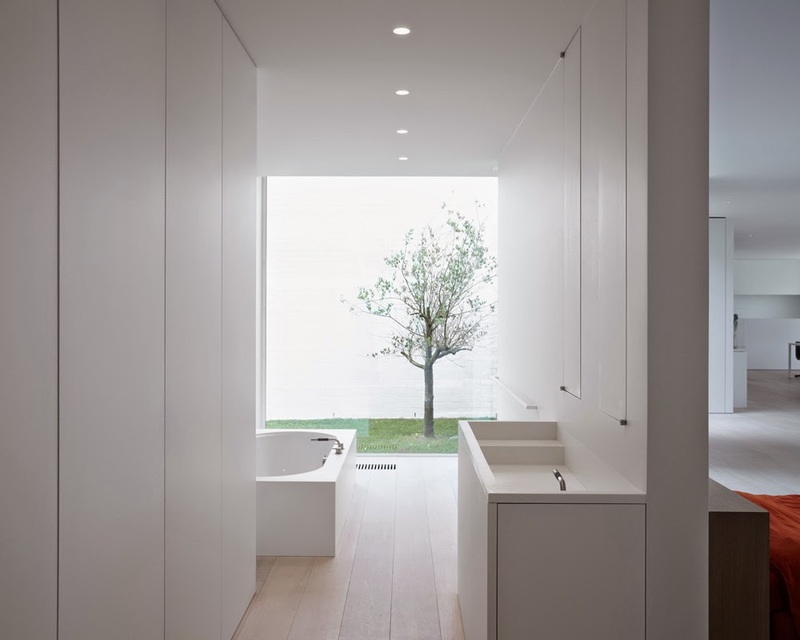 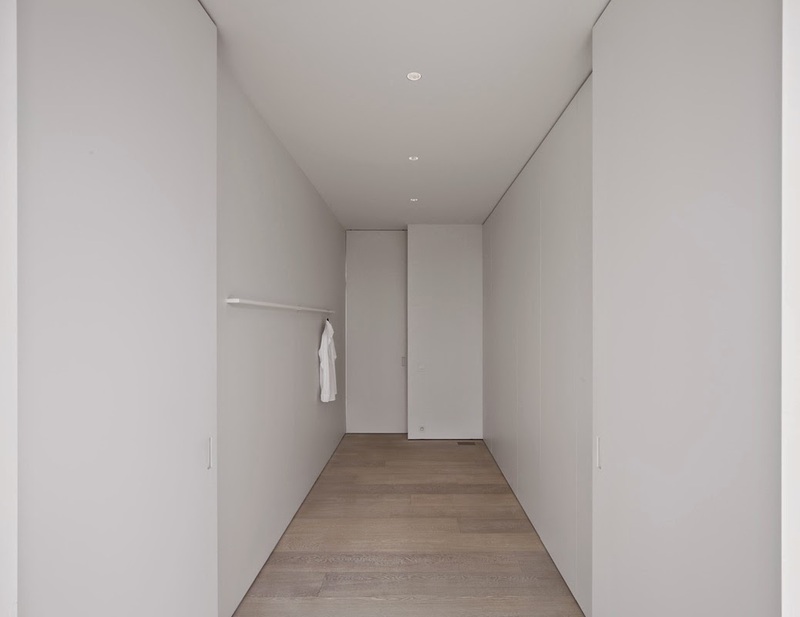 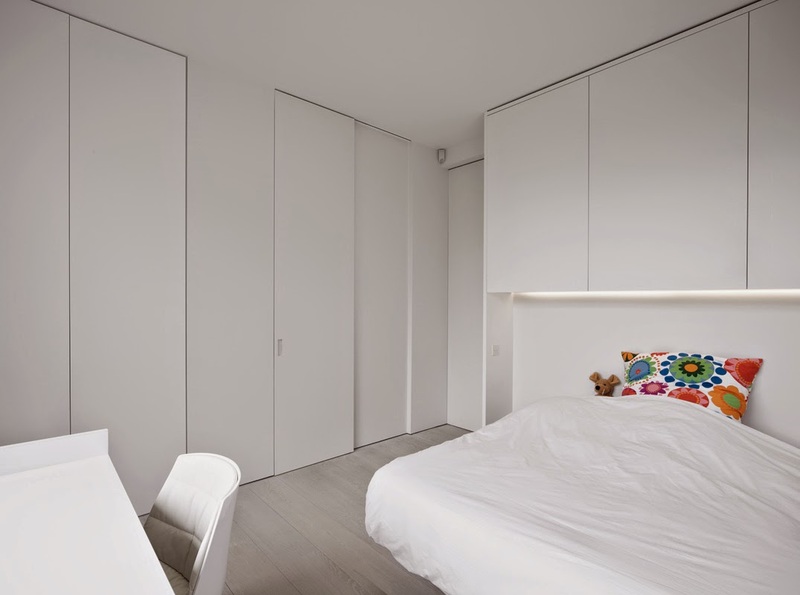 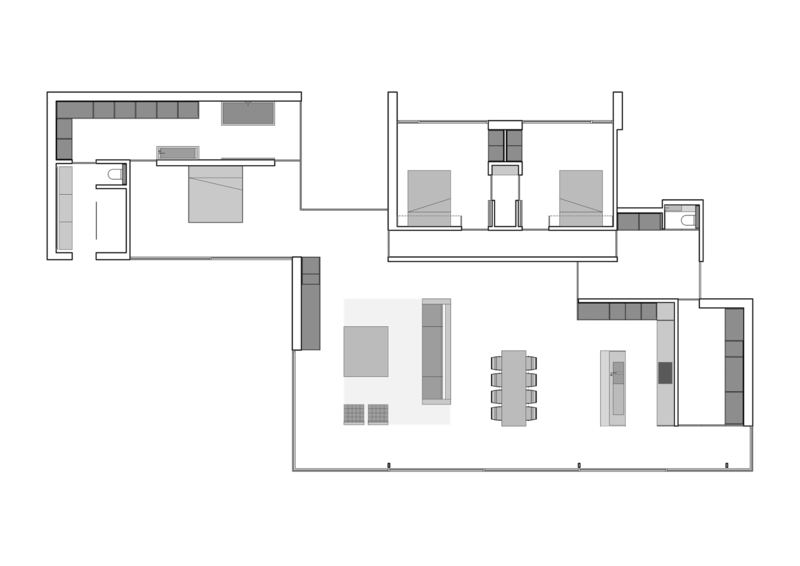 The house, designed by architect Pascal Bilquin, has a fluid open layout for the living spaces, while the bedrooms’ area is divided by large pivot doors. 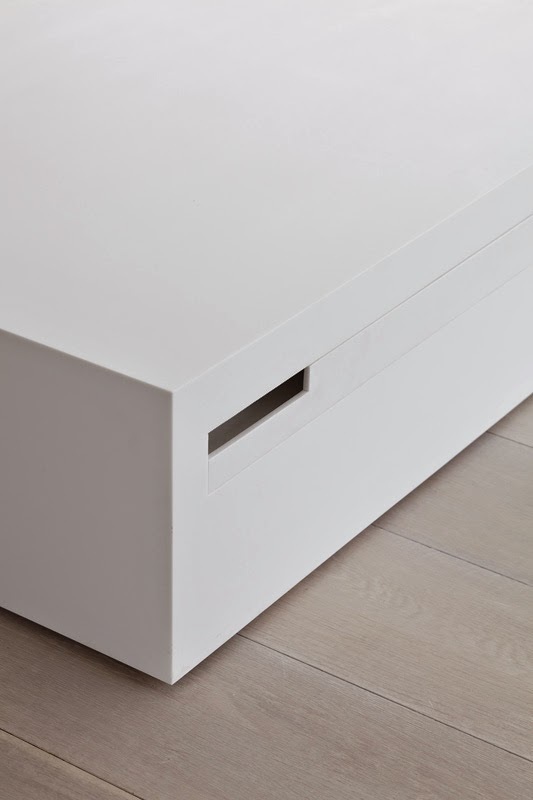 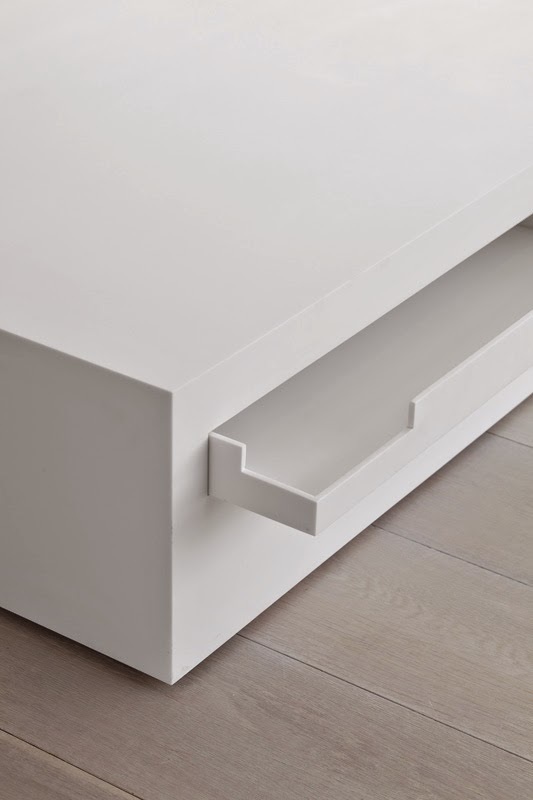 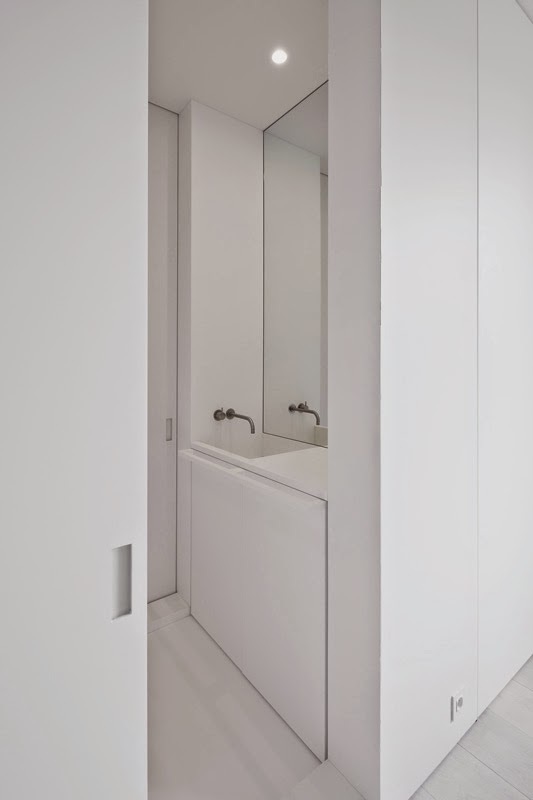 White is the predominant color, with beautiful clean lines and cubic shapes defining the different elements of fixed furniture and integrated storage components. 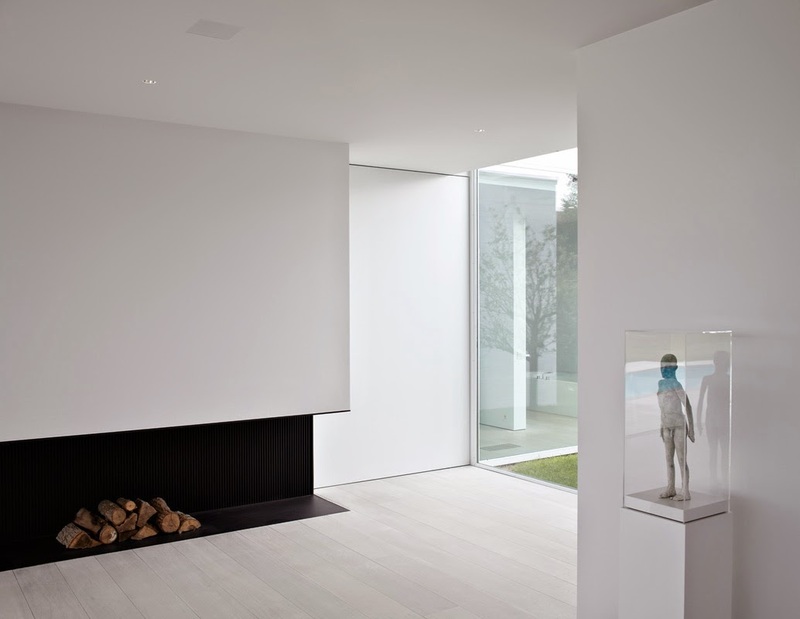 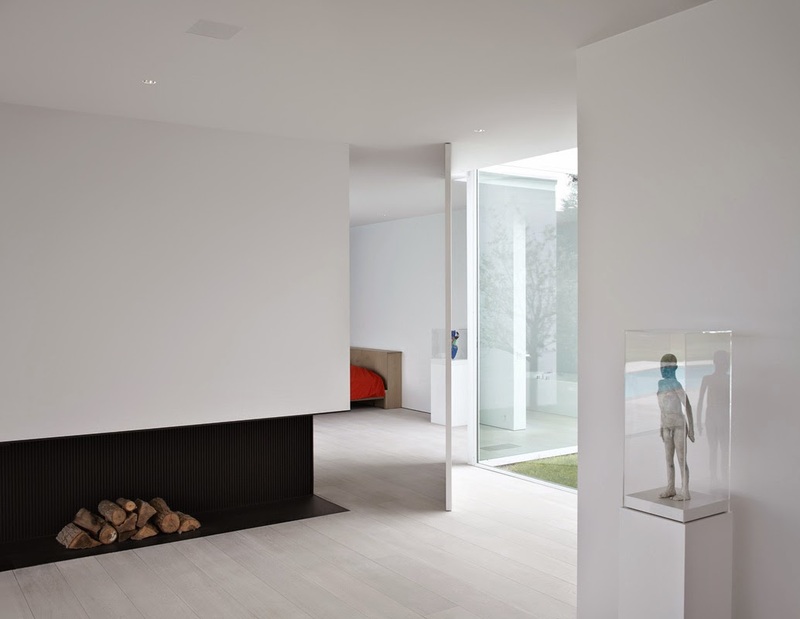 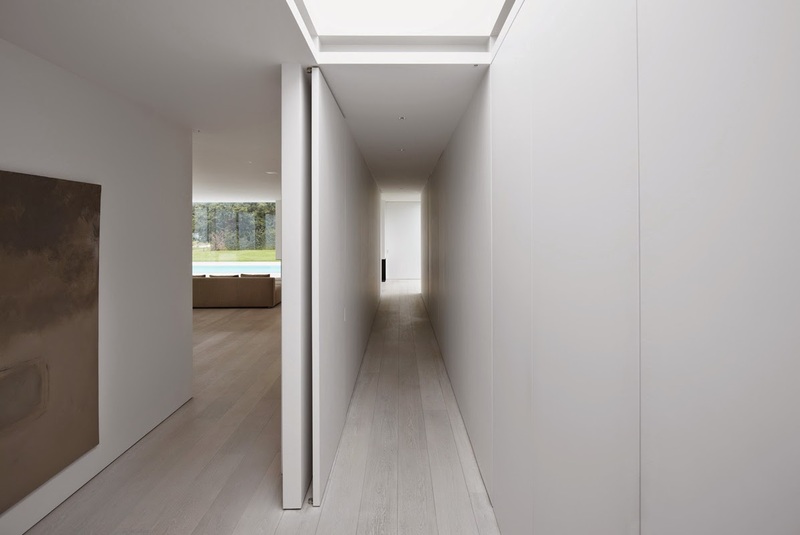 Floor to ceiling glass panels unify the all white interior with the exterior, extending to the pool and garden area.